As December begins, so does the countdown to Christmas. And what better way to count the days than to recount the events surrounding Jesus' birth? We have created free printable Advent calendar cards for you and your family to use this month. With 25 pieces in all, each simply lovely card includes a verse or verses from Scripture to help you begin the day focused on the One whose birth and life we celebrate this season. 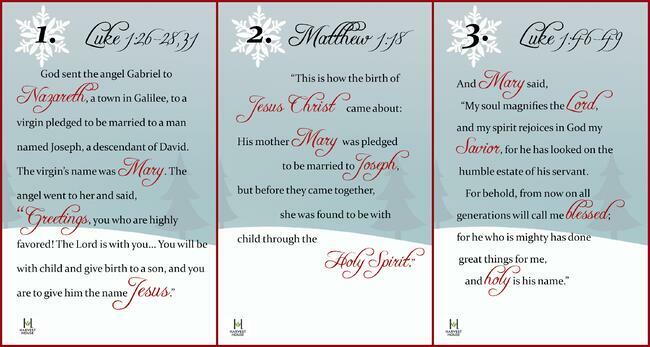 You can use these cards as devotional starters all by themselves, or as fillers for a calendar you create. We have plenty of DIY Advent calendar ideas for you to browse on our Pinterest board, Celebrate Jesus: Advent Calendar. Our goal with these cards is to come alongside you and your family as you remember the real reason we celebrate Christmas. Advent calendars with chocolate and gifts are fun, no question! With these cards, you can also add meaning and perspective to the fun as you and your loved ones take time to ponder Jesus. If this special countdown highlighting Jesus' birth has you excited to learn even more about Him and draw closer to Him in the New Year, one of our brand-new releases can take you on a year-long journey through the whole life and ministry of our Savior. 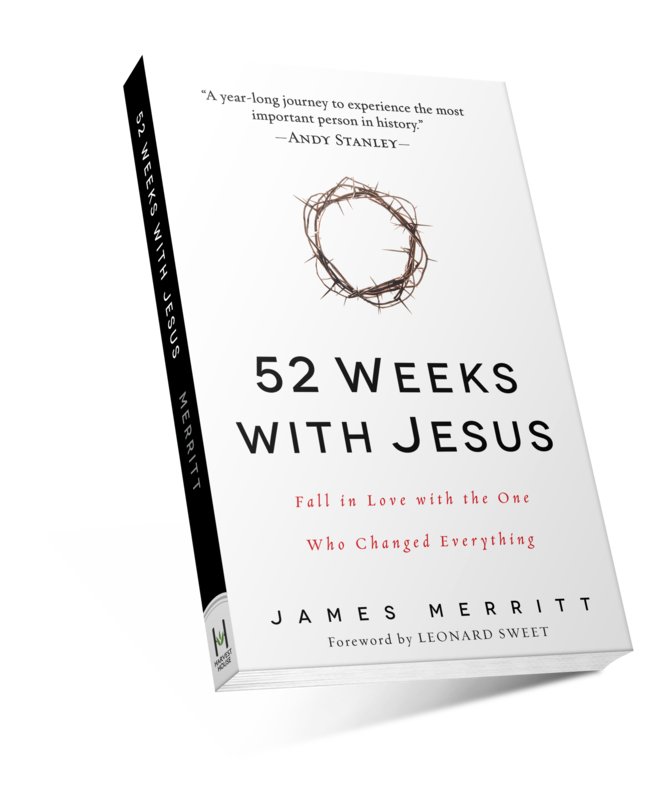 Learn more about 52 Weeks with Jesus by James Merritt. Sign up for 52 free additional devotions inspired by the book. This December, into 2015, and throughout your life, we hope that daily you will fall more and more in love with the One who changed everything. From Harvest House to your house, we wish you a blessed Christmas season!